The U.S. Department of Transportation’s Federal Aviation Administration (FAA) is proposing a $547,500 Civil Penalty against Hawaiian Airlines for operating a Boeing 767-300 that was not in compliance with Federal Aviation Regulations. The FAA alleges Hawaiian operated the aircraft thousands of times when it was not in compliance with a July 2000 Airworthiness Directive (AD) that required inspections of certain engine thrust reverser components. The purpose of the AD was to prevent a portion of the thrust reverser from coming off in flight, which could cause a rapid decompression of the aircraft. The AD required initial and repetitive inspections of the components to detect damage and wear, and corrective actions if necessary. It required replacement of the components with new and improved parts within four years of the AD taking effect. During a July 2012 inspection, the FAA discovered that some of Hawaiian’s records erroneously showed the AD did not apply to one of its Boeing 767 aircraft. The FAA alleges Hawaiian operated the aircraft more than 5,000 times – mostly on passenger carrying flights – between July 2004 and July 2012 when it was out of compliance with the AD. 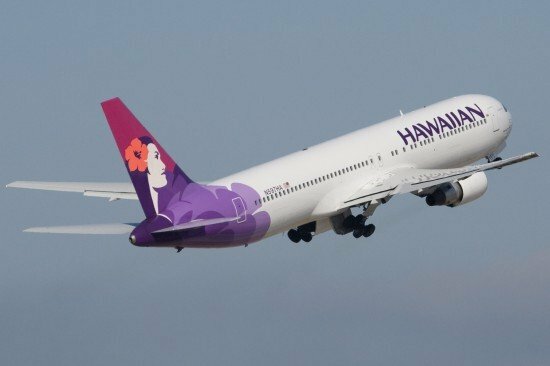 The FAA further alleges Hawaiian operated the aircraft on 14 passenger flights after the agency alerted the carrier that some of its records erroneously indicated that the AD did not apply to the aircraft. Additionally, the FAA alleges Hawaiian failed to keep required records of the status of the AD for the aircraft in question. Hawaiian has requested an informal conference with the FAA to discuss the matter.